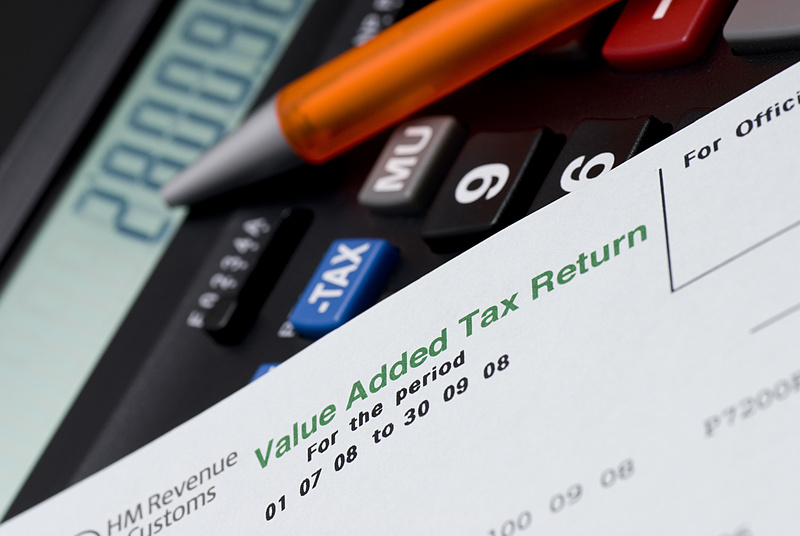 The completion of VAT Returns can present a whole range of problems for business owners. Worrying about how to fill in the forms and most importantly, what information goes into which box can be a headache. Our expert team of VAT specialists can effortlessly fill out your VAT return, leaving you to managing your business. If you find that the three month VAT cycle comes around far too quickly, an accounting firm can establish seamless processes to collect and submit the information that is required with accuracy and skill. When it comes to VAT, you need a firm of professional accountants that understand the process inside out and have experience in managing VAT returns for businesses. As specialists in the completion of accounting paperwork, we can complete your return every three months. If you authorise us as a tax agent, we can even file your VAT return with HMRC. If you would like us to help you with VAT, then you don’t have to be an existing accounting client. Simply provide us with all of the required data and we will do the rest. Firstly, we undertake a thorough review of your accounting information and discuss in detail our findings. Once agreed we will then process and submit your return and then inform you of the total amount of VAT that you have to pay. VAT is a specialist area of accounting, and is one of the specific accounting services that we offer. Regardless of your understanding of VAT, from newly registered companies to firms experienced in the VAT return process, we are able to offer expert advice and guidance. Our friendly and approachable team are always here to help and will clearly explain everything so that you fully understand, and your business is properly supported. If you are looking for assistance with filling out or submitting your VAT return, contact us today to find out how we can help. Why Do Businesses Need to Complete VAT Returns? If your business turnover is £85,000 or more within a 12 month period, then you will need to pay VAT. It is important that you register your company and complete four VAT returns each year, usually at the end of each quarter. Even if your business is not at the £85,000 threshold, you may find that being VAT registered voluntarily can be beneficial. Volunteering for VAT can be both confusing and complex. We can explain the benefits and drawbacks so that you can make an informed decision as to whether it’s right for your business. If your VAT returns are relatively straightforward then it may be more feasible to complete them yourself, providing that you have the time and knowledge. If you are looking for a specialist to manage your VAT, we can set up the required processes to collect, evaluate and submit your return. Even if your VAT return is relatively easy, you may feel better if it was taken care of by an expert. This ensures that it is completed correctly. Using electronic accounting and records management software routinely can greatly aid the process. VAT can be a detailed and involved process, so it may be more beneficial to work with a company such as ours to complete and submit your VAT returns for you. The process of submitting your VAT information to HMRC is much more detailed than simply extracting the figures from your business accounts and then submitting them online. Our first task is to complete a thorough review of your accounts to ensure there aren’t any discrepancies. If there are then we can investigate and resolve these so that your VAT return will be precise when it is submitted. Furthermore, we will meticulously review all transactions to ensure that you are claiming all VAT paid out by your business. This means that you pay as little VAT as possible. After reviewing and, where necessary, resolving any issues with your bookkeeping, we will then evaluate your business practices to see if any guidance can be made in relation to VAT and accounting. Our advice can cover a whole range of situations from recommending that you de-register if your turnover is below the threshold, to advising on the most effective VAT program for your business. One of the most common recommendations that we make is for businesses to switch to cash accounting, particularly if you have to wait after invoices are raised before you receive payment. After the evaluation stage, your accounts will be reviewed by a senior member of our accounting team to verify that everything is correct and accurate. After approval, you will be sent a final copy of the figures for review. If you authorise them, the final return will be prepared and submitted to HMRC. Although this process may seem in depth, we follow this for all of our clients as we want to make sure that there are no errors and that you don’t pay more VAT than you should be. VAT inspections can be randomly or may be due to a discrepancy in the figures that you have submitted. Some industries are more likely to be inspected than others, and this is often due to the complexity of their VAT affairs. If you do get inspected then we can work with the HMRC on behalf of your company to collate and submit all of the information they require to conclude their investigation. We always endeavour to keep our prices low, providing quality yet affordable VAT return services. We will work with you to develop a pricing strategy suitable to both of us, whether this is a monthly or annual fee. Choosing us to manage your company VAT return is affordable, convenient and stress-free. Rest assured that your VAT returns will be completed properly and submitted with confidence by a specialist team of experienced and skilled accountants.